Whether you’re ready or not, summer is coming to a close. That means it’s time to start thinking about how to decorate your home for fall. Here are some easy, inexpensive ways to update your home décor, plus insight on seasonal trends from interior designers across the nation. Getting your kitchen ready for fall can be easily accomplished during your next trip to the grocery store. Salmela explains that many homeowners keep a large bowl of fresh fruit and vegetables on the island or counters in their kitchen. “Not only does it look pretty, but it’s another way to bring a design element into your home that has a seasonal flair. 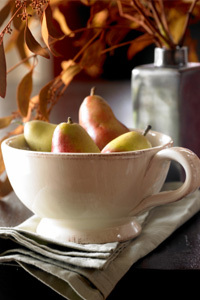 So, while the summer will see this bowl stocked with lemons, limes and oranges, in the fall it can hold small squashes and pumpkins,” she notes. “One of the easiest ways to spruce up your home décor for fall is to change your throw pillows,” says Rekha Krishnamurthi, creative designer for Divine dZigns, LLC. 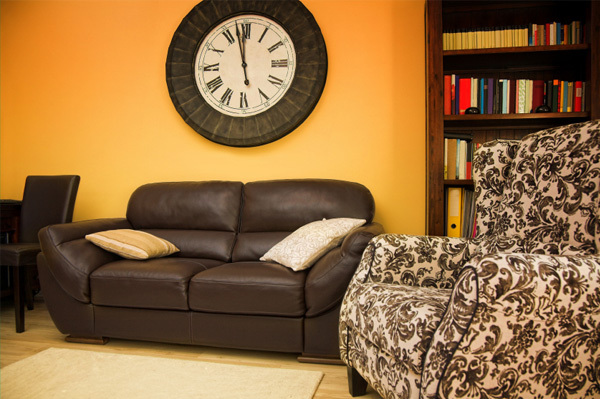 She suggests using throw pillows or decorative pillow covers in rich colors such as deep reds, oranges or even a deep purple. Salmela has some additional advice for transitioning pillows from summer to fall. “Pillows in the summer can be cotton or linen-based, with neutral or bright colors. For the fall, pillows can take on heavier fabrics, weaves and blends,” she explains. While you’re in the midst of updating your home’s interior for fall, don’t forget about its exterior. Author and design expert Kathy Peterson says one way to decorate your porch with fall colors is to add potted flowers such as mums. “Throw a fall-colored blanket over the front porch chair — and don’t forget to change out the door wreath and mat,” she adds. Above all, remember that decorating for fall does not mean splashing leaf and pumpkin-printed fabric throughout your home. The key to decorating with autumn-inspired accessories is to tie them into the style and décor you’ve already established.